Few beer drinking situations conjure up the relaxed romanticism of the “shower beer.” Showering evokes the idea of getting ready for something – be it the day or a night out on the town – and similarly, beer is often the “pre-game” beverage of choice. So drinking a beer in the shower combines one of the most utilitarian parts of human preparation with one of the most recreational. Not to mention breaking the general taboo of consuming any sort of food and beverage in the bathroom. 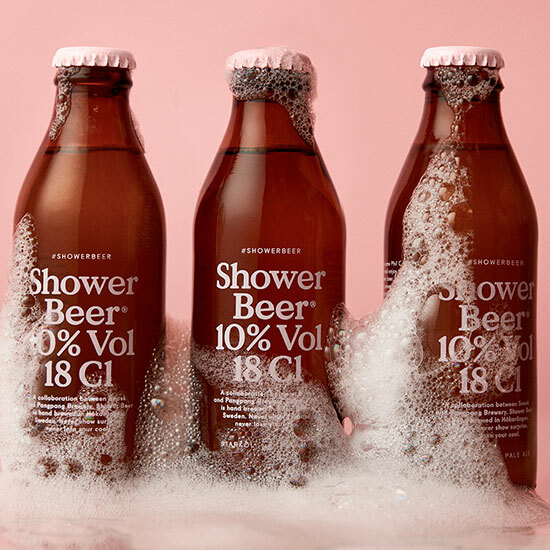 But though plenty of people discuss drinking in the shower, I’d never before heard of a product specifically tailored toward shower drinking – which is what makes a new brew, aptly called “Shower Beer” so attention grabbing. Created as a collaboration between Swedish craft brewery PangPang and creative agency Snask, Shower Beer is more than just a catchy name. The brew is specifically built for shower consumption: At only 18 centiliters, about 6 ounces, Shower Beer is half the size of your typical bottled or canned brew, a size “meant to gulp in three sips while standing in the shower getting ready for the night.” To make up for its small stature, Shower Beer is greatly ramped up in alcohol: 10 percent ABV or double the ABV of a Budweiser. To crunch the numbers, you’re basically left with a beer that has all the alcohol of a normal beer in half the size, allowing you to get the buzz of a full beer in a shower-length amount of time. Where this self-described “sweet but strong pale ale” fails to capitalize on its shower credentials, though, is in its packaging, which is glass. As anyone who has ever dropped the shampoo bottle can attest to, it seems like Shower Beer missed a golden opportunity to do what every other shower accessory has done over the years and gone the way of plastic (or at least maybe a can). 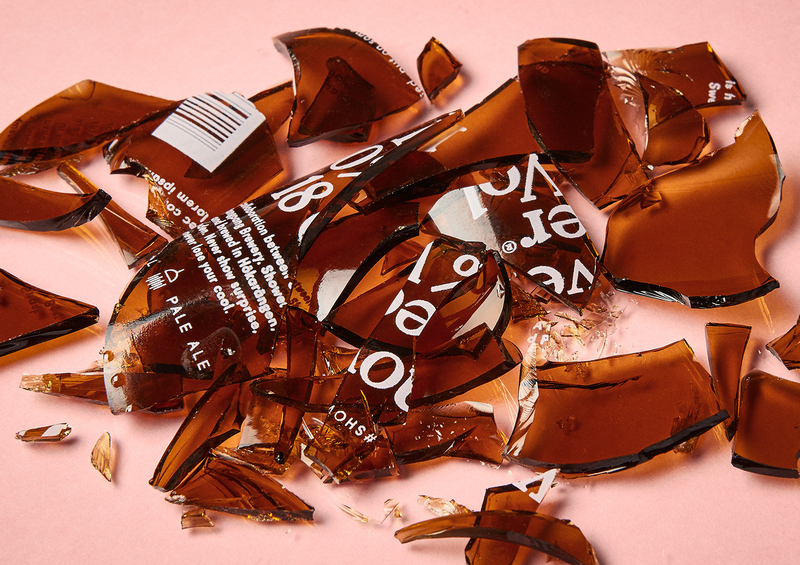 That said, the brand does include an image of one of its bottles shattered on the ground in their promotional photos – so Shower Beer at least acknowledges this quandary. Maybe the glass is intended as an added challenge? But speaking of a challenge, my biggest problem with shower beer is that, in many ways, I think a seasoned shower beer drinking veteran would consider it cheating. Drinking a beer in the shower is meant to be a relaxing respite, not a race. Though maybe I’m just old fashioned. Shower Beer was originally released last month as a one-time offering, but after that first batch sold out “instantly” (as the brand states), the brewery immediately got going on a second run and may even at the brew to its permanent lineup. But as of now, it sounds like the product making its way to the US seems unlikely. Don’t fret: What Shower Beer doesn’t want you to know is that any beer is good for the shower.